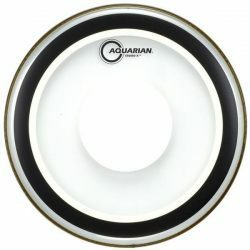 The Aquarian Hi-Energy is a unique drumhead that allows for an open and responsive sound, while still being very durable for a single ply head. 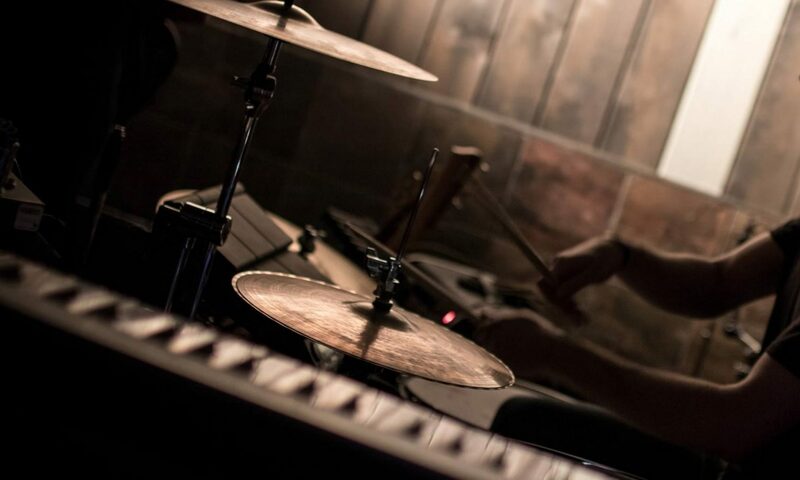 This is a versatile snare drum head choice for drumming at most volume levels. 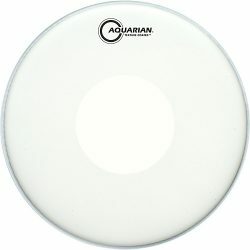 The Aquarian Hi-Energy Clear is made with a single ply of 10mil clear film. 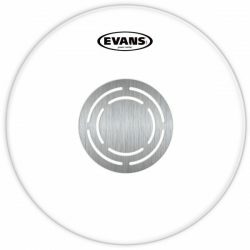 This drumhead has a large control dot across the center of the head, made from a thin and very tough material. The control dot helps to add extra durability, making this a great option for heavy hitters who don’t want to choke their sound. 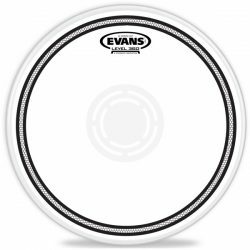 Overall this snare drum head is suited to medium and higher volume playing, but it can also handle some quieter drumming when needed. 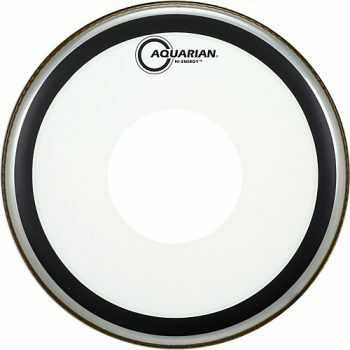 The Aquarian Hi-Energy is capable of producing a big attack, allowing this head to be used in higher volume situations. The single ply design also makes it sensitive enough to be played at quieter volumes, making this a versatile drumhead that is playable across a wide range of music styles. 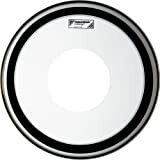 Note, however, that the added control dot makes this drumhead unsuitable for extremely light playing. 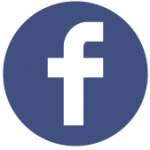 For quieter jazz or very light brush work, you will probably be better off with something more responsive. 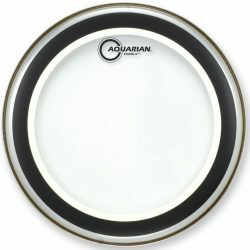 Sound-wise, the overall tone of the Aquarian Hi-Energy is slightly on the brighter side of balanced. 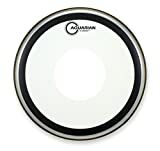 It is a little warmer than an undampened 10mil drumhead (for example an Aquarian Classic Clear, Evans G1, or Remo Ambassador). Tuned higher, it has a nice cutting pop with a moderate sustain… This is an open sounding drumhead that gives a strong, punchy sound. Without dampening, ringing overtones are present and give some nice colour to the overall sound. When tuned lower, it gives a fatter thud that sounds great with a little dampening. 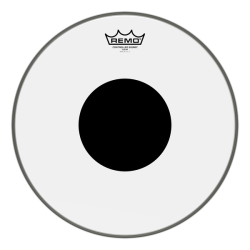 Add Moongel or other dampening if you want to cut down on the ringing overtones with this drumhead. 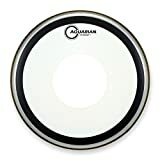 If you’re looking for a durable and fairly versatile single ply drumhead that is usable across a wide range of drumming styles, the Aquarian Hi-Energy is a great choice. It is sensitive enough to be played at moderate-low volumes, and really shines at medium to higher volumes when you need to cut through. The Aquarian Hi-Energy is made for snare drums, and comes in 12″, 13″, 14″, and 15″ sizes.